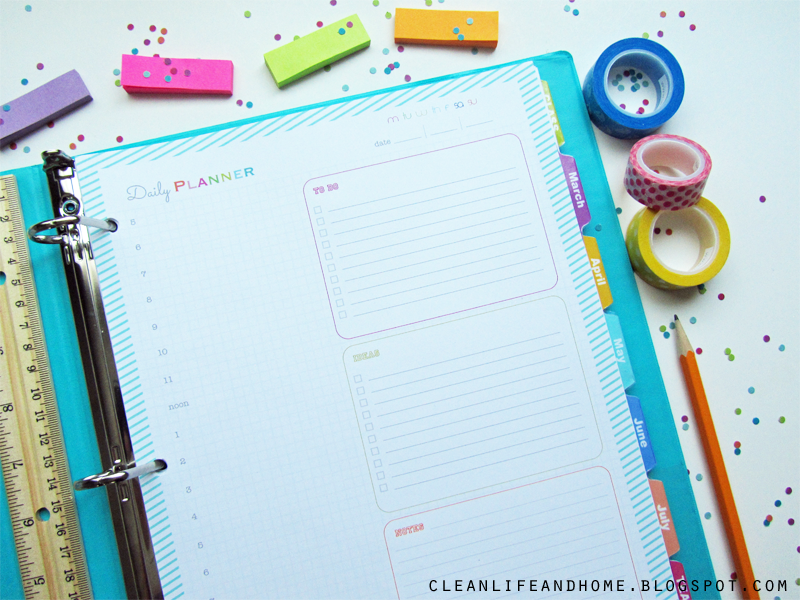 Clean Life and Home: The Teacher Planner! This version has been updated! 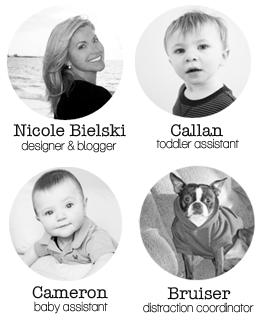 Check out the new look and 3 new designs here! 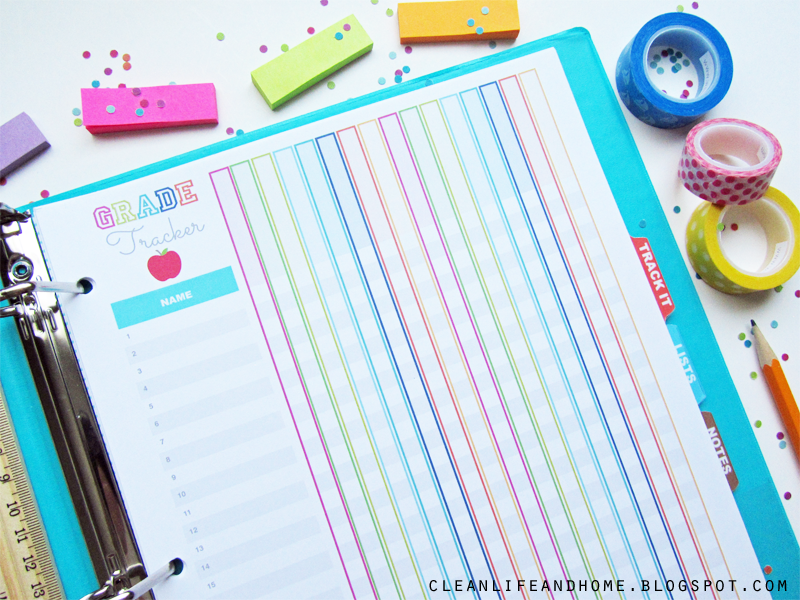 Looking for a colorful printable planner to keep you organized this school year? 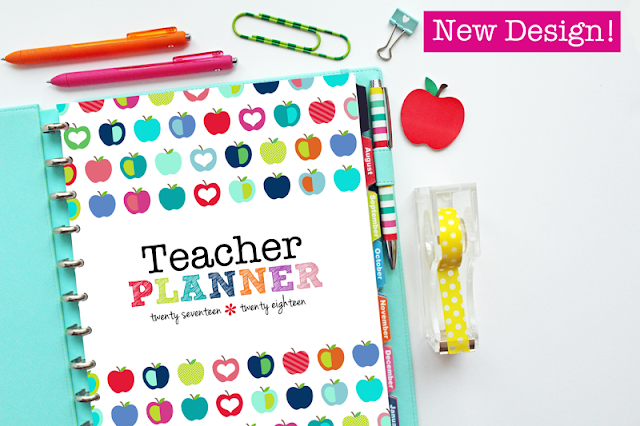 The Teacher Planner (click here to purchase 2016-2017 Teacher Planner or 2016 Teacher Planner or 2017 Teacher Planner) includes all the essentials! 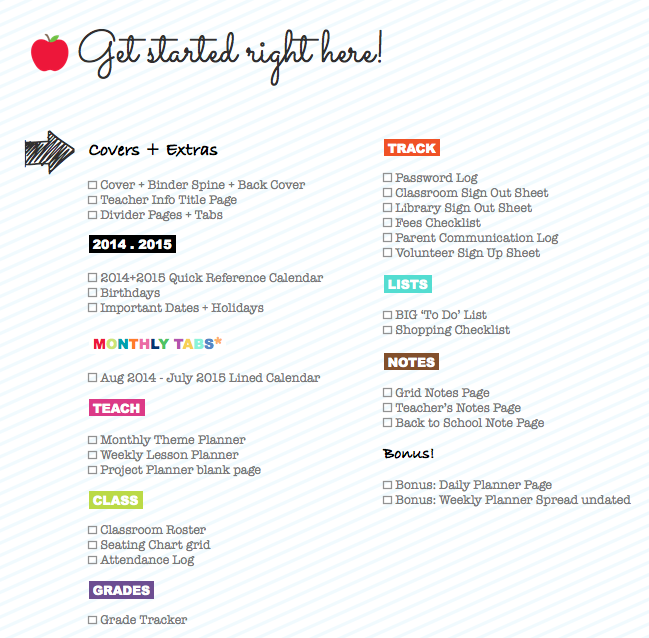 This planner features a mix of designs, patterns, fonts and colors. Not only is it colorful; it's also functional! 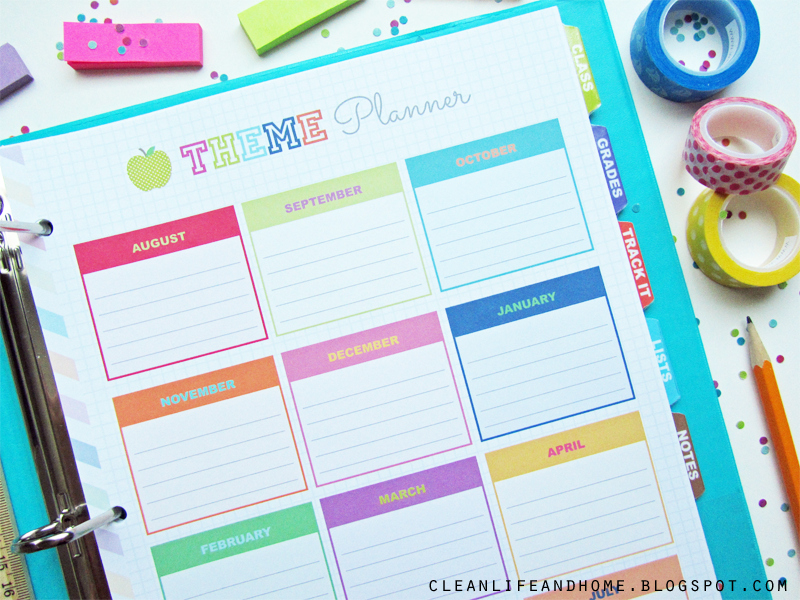 Get your Teacher Planner for 2016-2017 here! Get the 2016 Jan-Dec Australian version here! I'll go through each section in a little more detail and provide more photos and screen shots! First, you get to choose from 2 covers- dark or light. The lighter cover is the original pattern that I designed, but I thought a darker version would look great too! 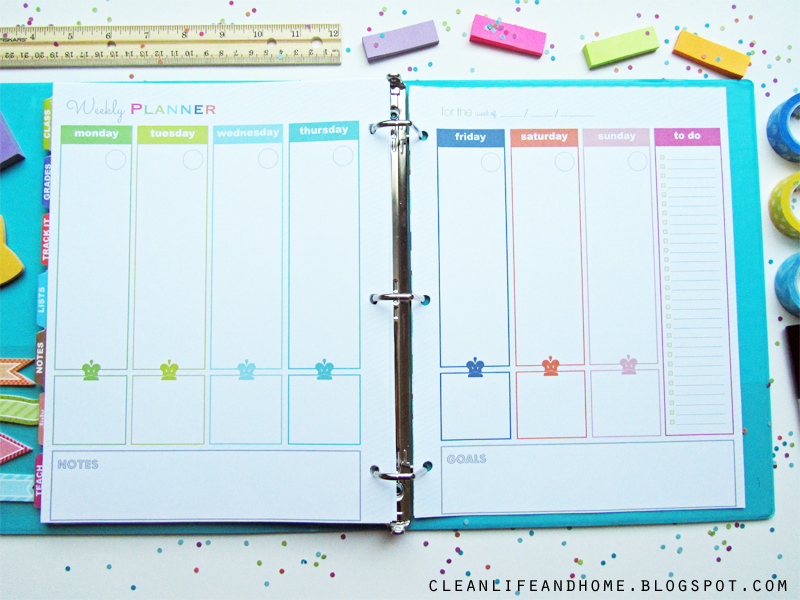 This planner includes printable Divider Tabs in just about every color and a Divider Page spread with an optional goals page! 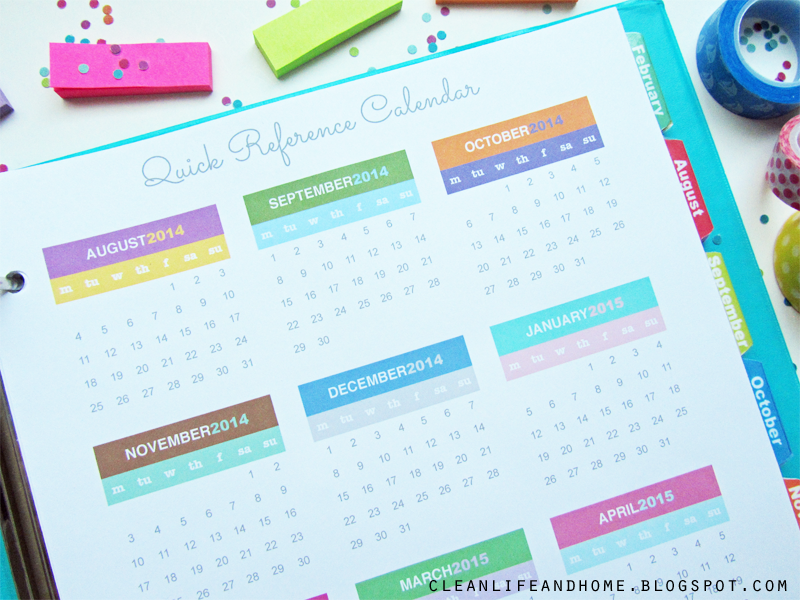 This section includes a Quick Reference Calendar dated August 2014 - July 2015 so you can check dates on one page. 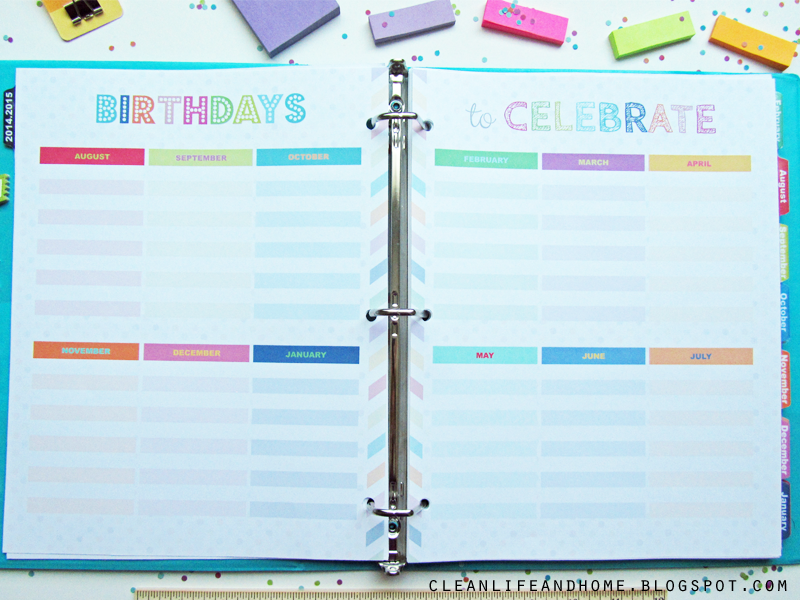 It also includes a colorful Birthdays calendar to record all of your students' birthdays in one place! 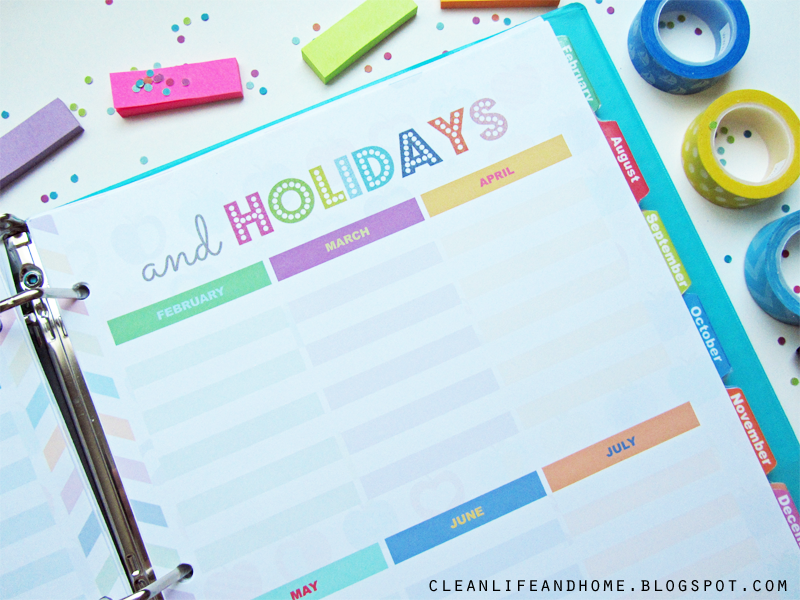 You also get a Important Dates + Holidays spread to keep track of any other big days during the year! 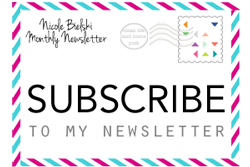 Each month you get a dated, 2 page calendar with lots of little extras! 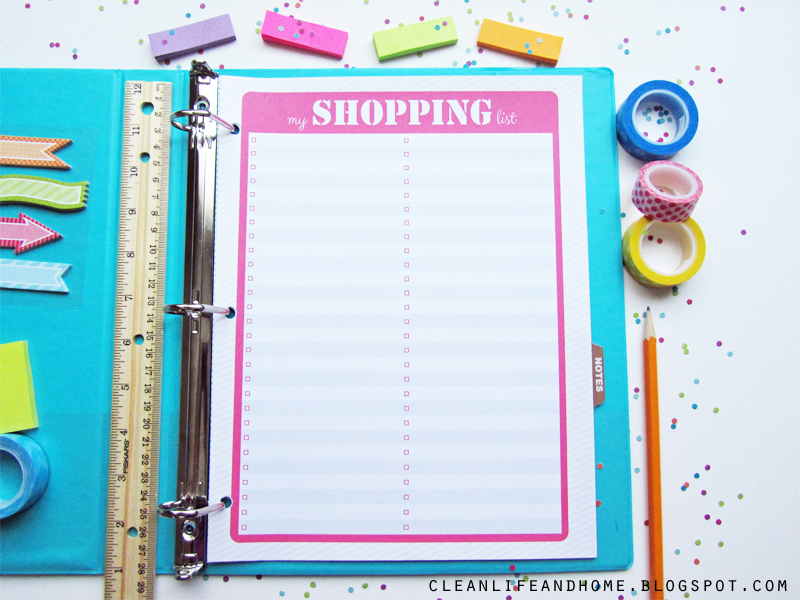 There's a To Do list, Goals list, Notes, Monthly Theme, and a 2 month quick reference preview! 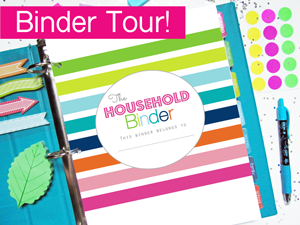 There's also a Divider Tab and Divider Page for each month! 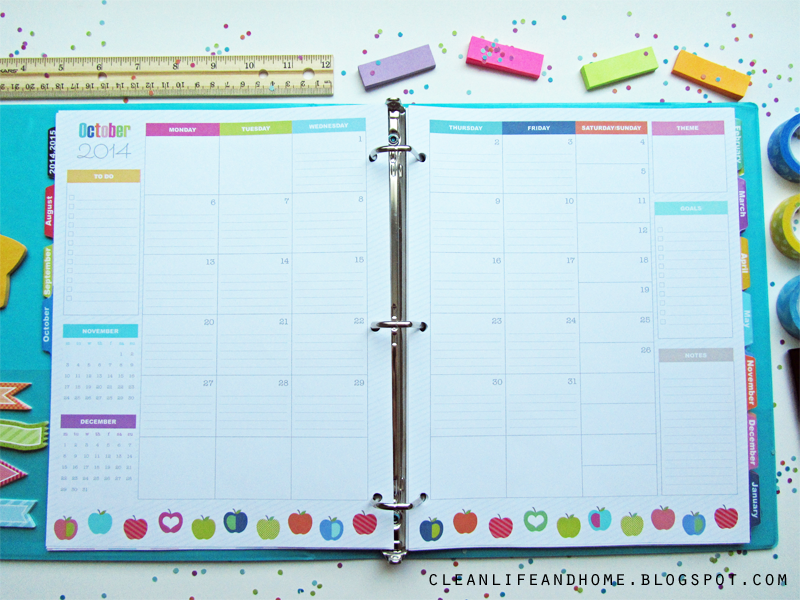 This section begins with a colorful Monthly Theme Planner! 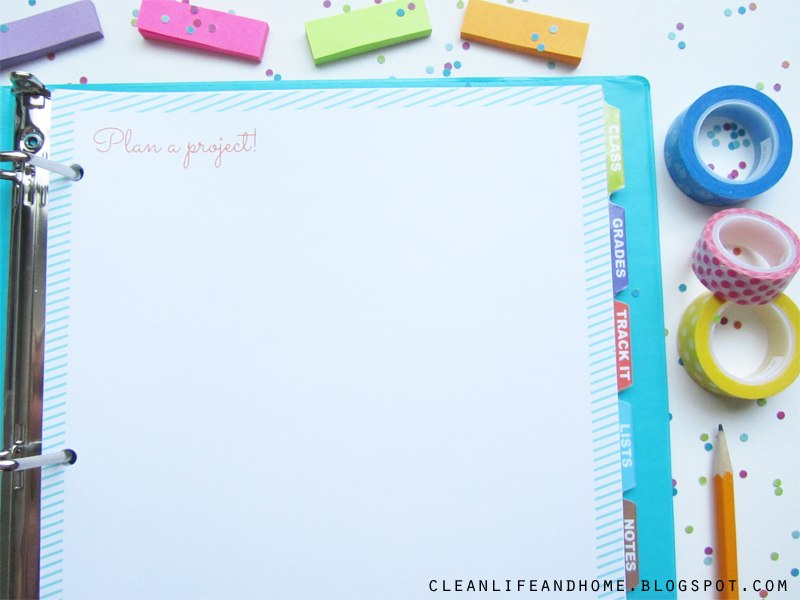 I also included a simple Project Planner sheet so you can jot, sketch and plan your next project! Every teacher needs a class roster! 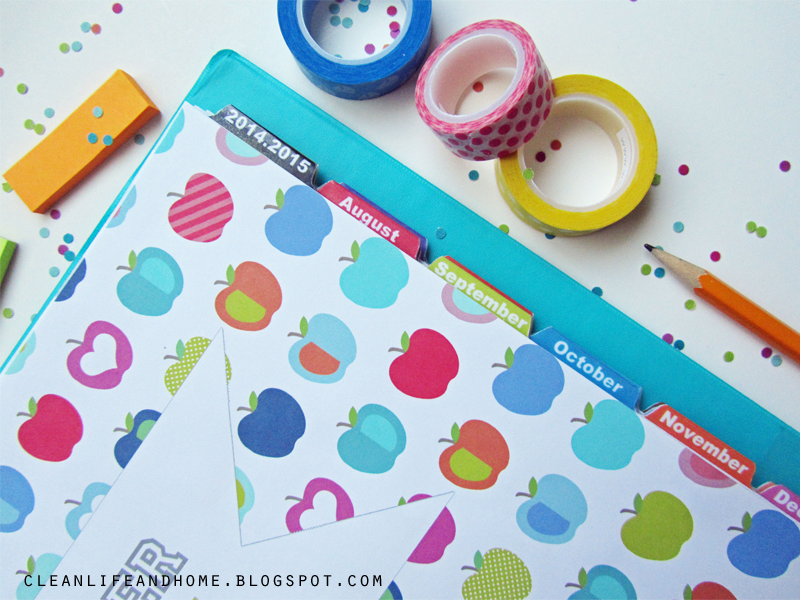 This simple list features 32 name spaces with a colorful apple detail to match the cover! 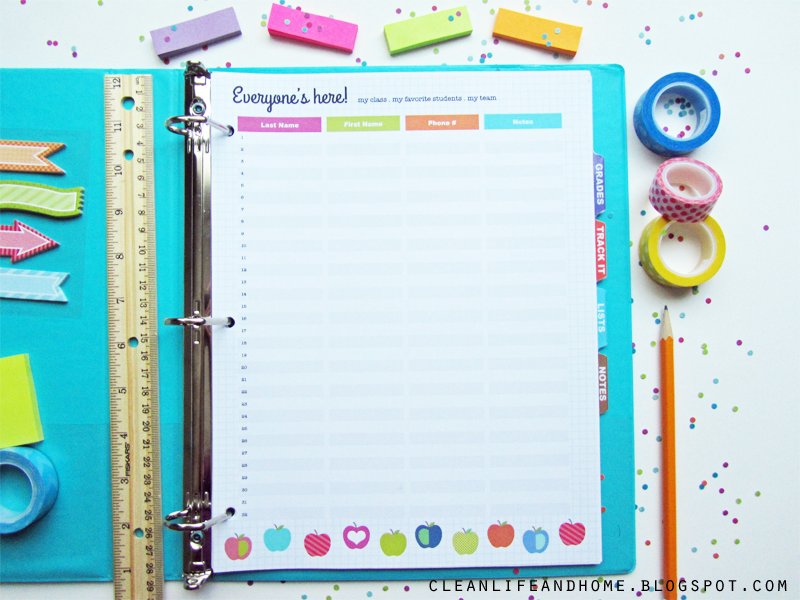 Includes space for Last Name, First Name, Phone # and Notes space to record any important information like allergies. 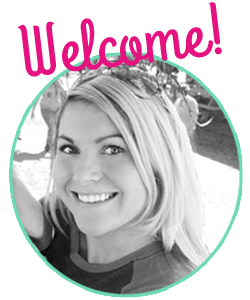 Map out your seating chart using this Seating Chart grid! 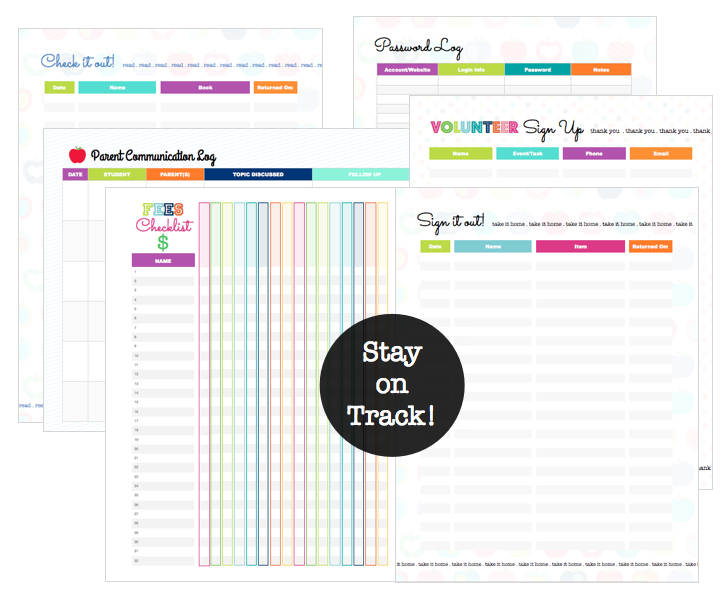 Keep track of your students' attendance each day! 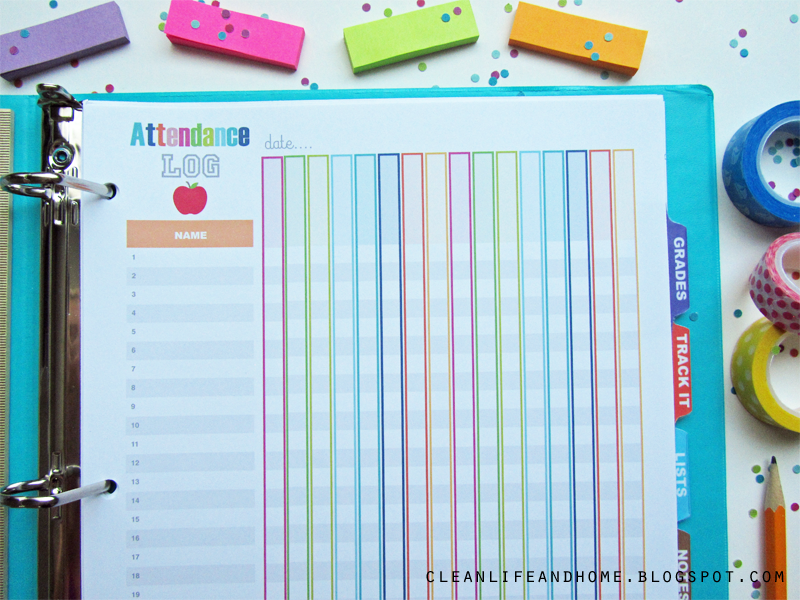 A simple Grade Tracker to match the Attendance Log! This section includes lots of goodies! 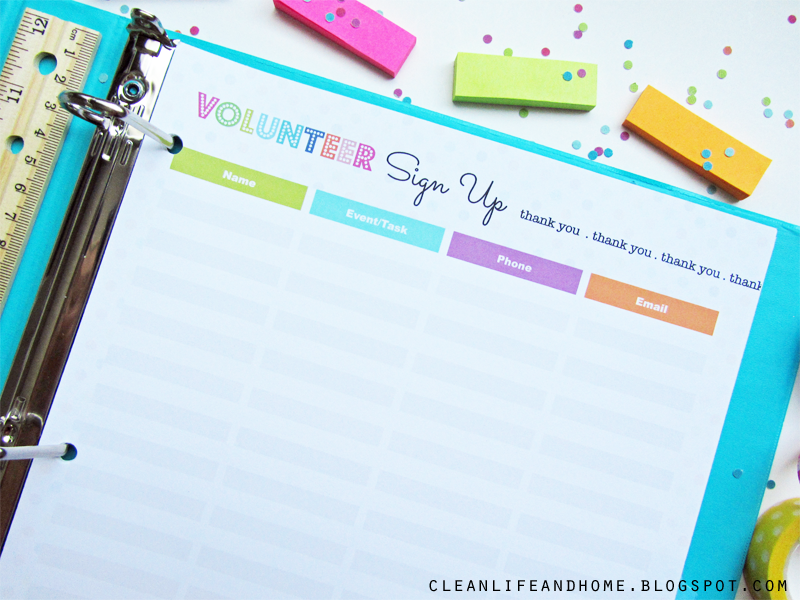 You get a Password Log, Classroom Sign Out Sheet, Library Sign Out Sheet, Fees Checklist, Parent Communication Log, and Volunteer Sign Up Sheet! 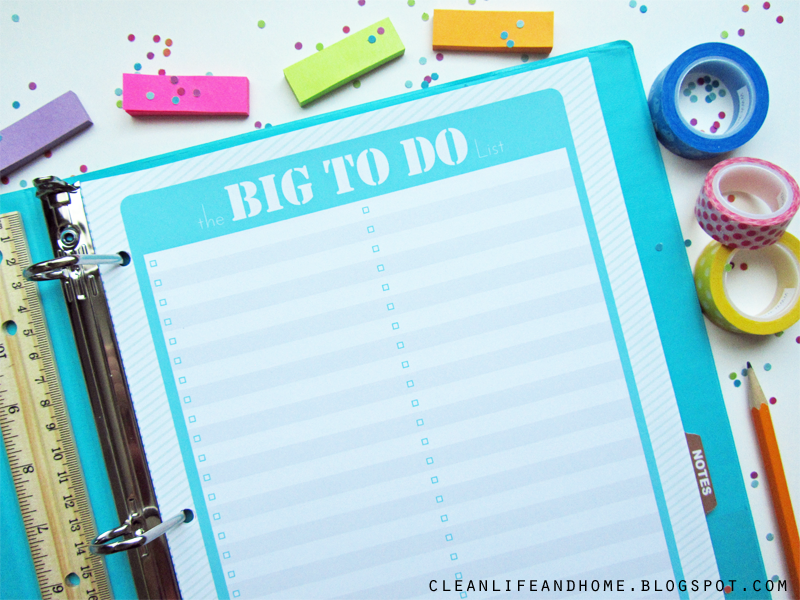 You get 2 bold lists to keep track of all your BIG to do's and shopping list! You get 3 different Notes Pages! 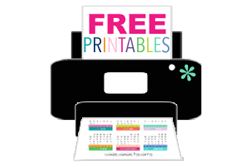 As an added bonus you get 2 FREE printables to help you plan your time! 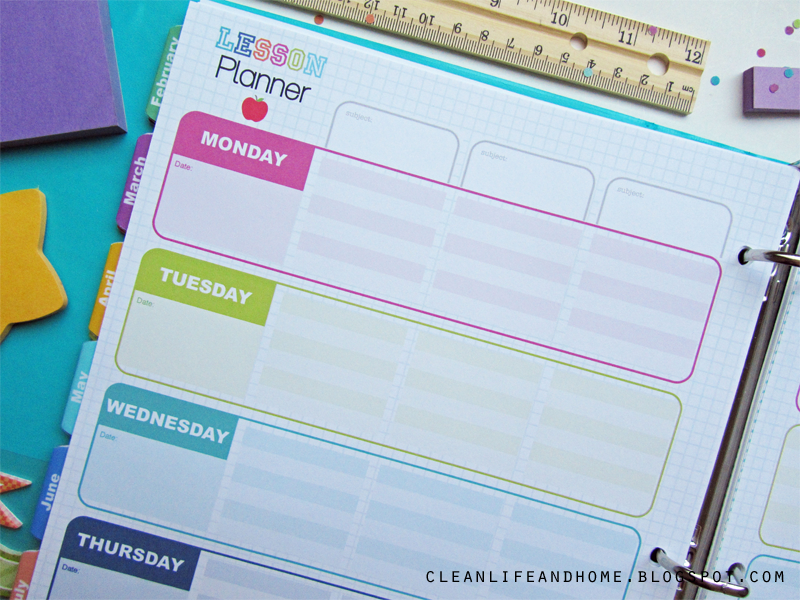 AND The Daily Grid Planner with times from 5:00am to midnight! 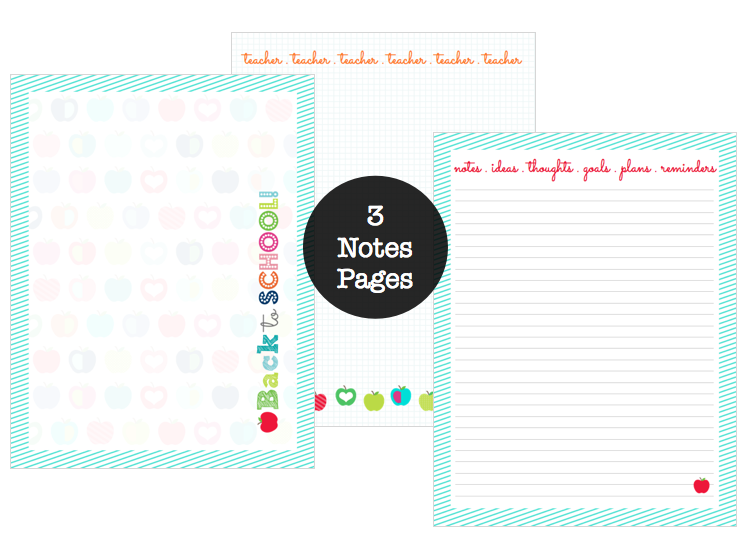 Also includes To Do, Goals and Notes sections! 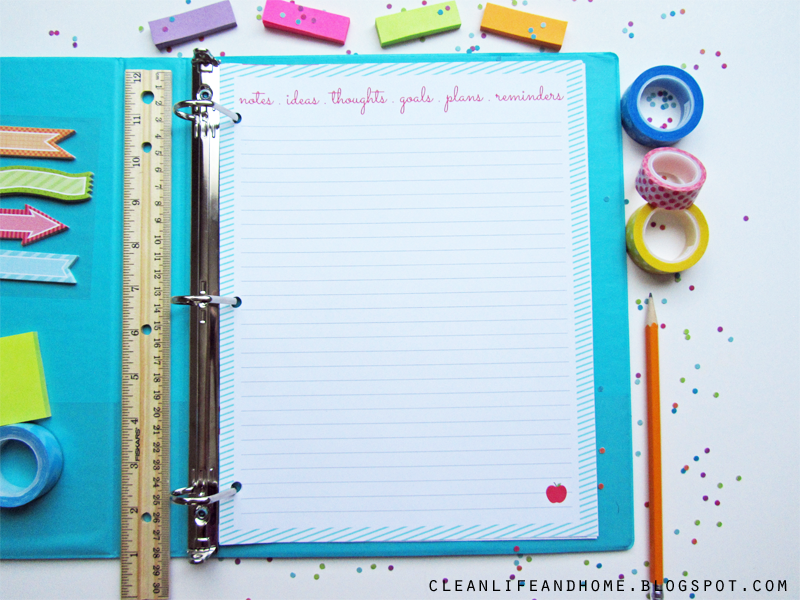 You get all of this to help you get organized and stay on track! 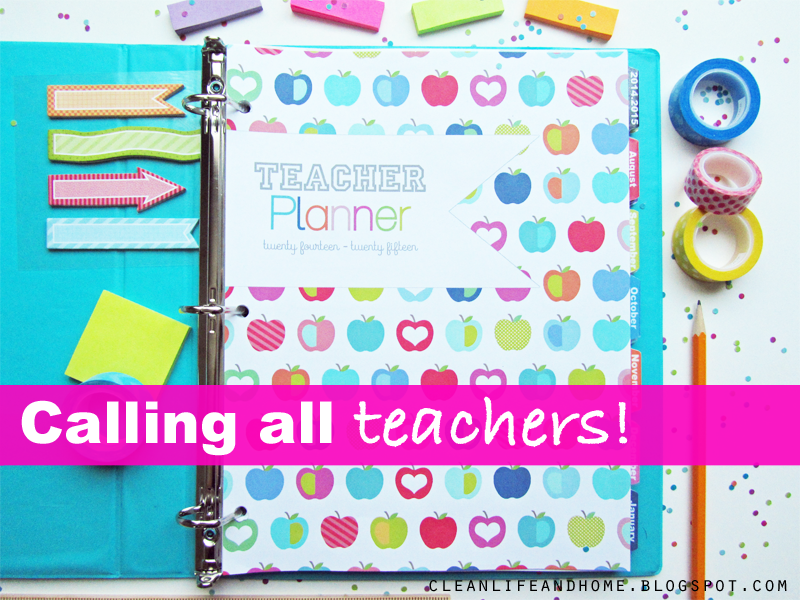 A great planner for any teacher at a great price! 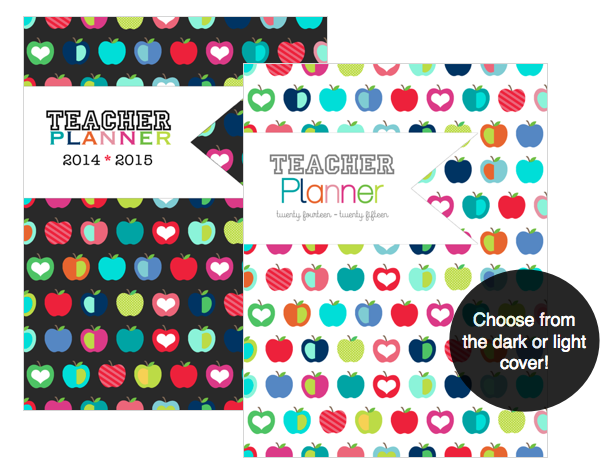 Click to purchase 2016-2017 Teacher Planner! If you have any questions or need more details please contact me! 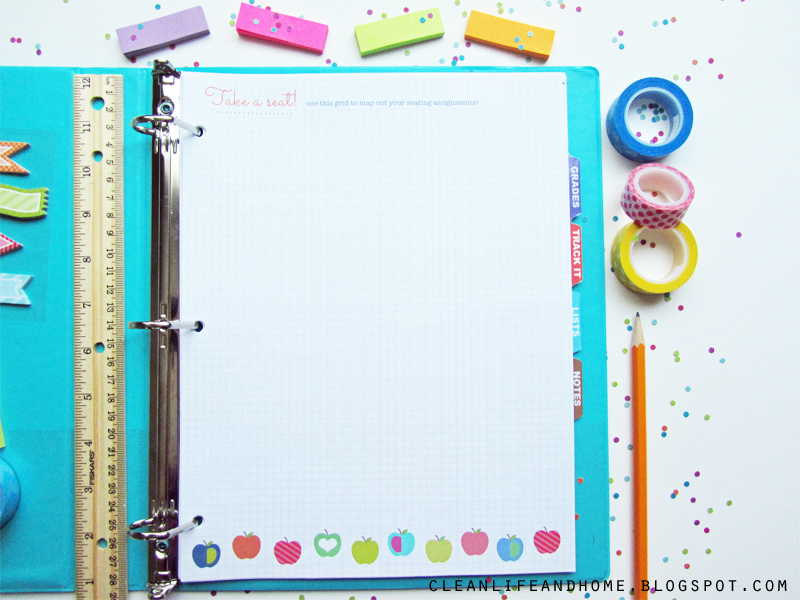 Love the look of this planner! Curious as to how I would go about printing out the tabs? Donna, I was wondering the same thing. I want to make sure they hold up! Do you have this for sale somewhere else besides Etsy? I was trying to find you on Teachers Pay Teachers, but no luck. On the lesson planner page, what are the dimensions on each block per subject? Each space is 1.79" W x 1.50" H on the lesson planner pages if they are printed on letter size paper.